Proraso Single Blade, great stuff. I used my Proraso Wood and Spice for today's shave. This stuff is great. Before this Single Blade line came out I haven't used a cream in a few years. I always preferred a puck. Now I have been using this cream more than I ever did before. About half of my shaves. It is a real pleasure to use. Anyone who has not tried it yet owes it to yourself to do so. You won't be sorry. I wish it was available in a smaller tube. Yeah, it's a good deal for the price, but it'd be nice to have smaller tubes for variety. I'd like to sample the Azur Lime and the Cypres Vetiver, but buying 9.5 oz of each in my already overcrowded soap drawer wouldn't be good. 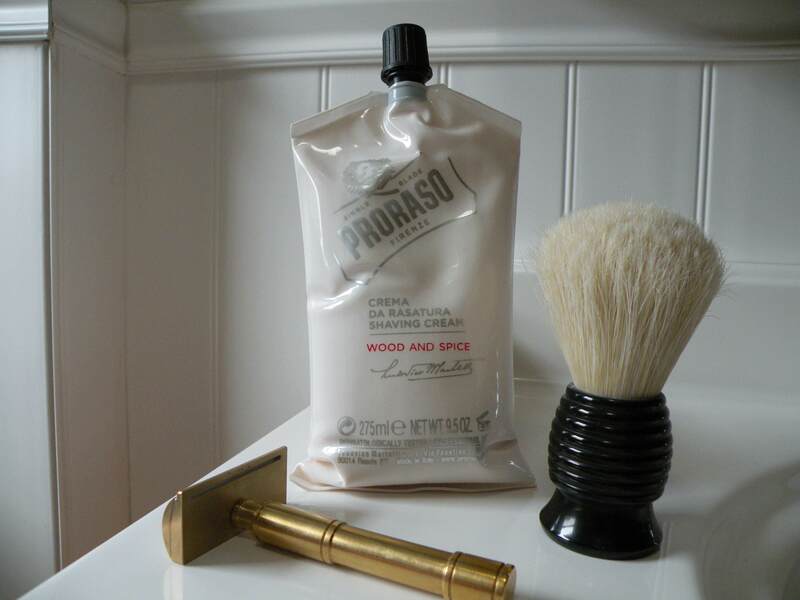 I've never been a Proraso fan, but their Single Blade creams exceeded my expectations. I find these creams to be outstanding in terms of cushion, slickness, and post shave feel, and as good as any higher priced and highly rated creams. I ordered smaller tubes of each scent from a company in Greece, for about $6 each and a fairly small shipping charge, although it took about three weeks for them to arrive. However, had I known that I would enjoy using them this much, I would have purchased the 275 ml IV bags. Is it a tough/strong bag/tube? Is it like a toothpaste tube ? (04-06-2018, 10:26 AM)TheLegalRazor Wrote: I wish it was available in a smaller tube. It is in a tough bag. Should not be a problem. Just lay it or lean it anywhere. The Cypress & Vetyver is the only one of the 3 that does not have menthol. I recently saw that they did just start offering it in the regular size tibe... Can't remember where online, at the moment. Thanks Matt. I'll look for that.